There are plenty of wild statements being thrown around about artificial intelligence – from a threat to our jobs to a threat to the human race as we know it. So is this all hyperbole or are the fears actually based on some facts? We investigate. 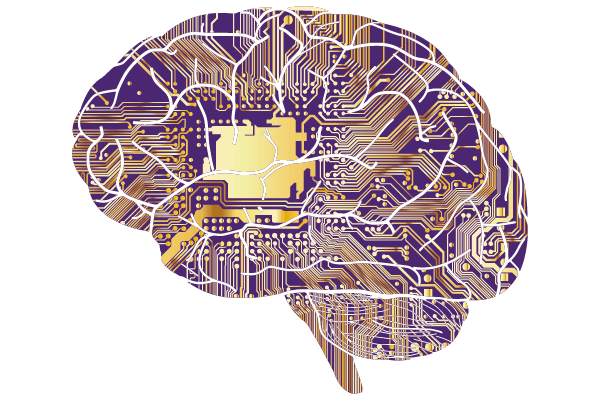 The concept of artificial intelligence is that computer systems can be used to perform tasks that would normally require a human. These can range from speech recognition and translation into different languages, all the way through to visual perception and even decision making. Broadly speaking, anything can be considered artificial intelligence if it involves a program doing something that we would normally think would rely on the intelligence of a human. Quite how this is achieved is not the point – just the fact that it can be done, is a sign of artificial intelligence. Strong artificial intelligence refers to the work that looks to genuinely imitate a human – and that could potentially even explain the way humans think. Few examples of this exist, currently. Then there is weak artificial intelligence, which simply aims to build systems that are able to behave in the same manner as humans but do not have the aim of thinking as humans think. Another classification of artificial intelligence are those that are meant to meet certain tasks, known as narrow artificial intelligence; and those designed to reason, known as general artificial intelligence. So what are the pros and cons of artificial intelligence? One massive advantage of artificial intelligence is its potential to complete mundane tasks through intricate automation that will increase productivity. Theoretically this can even remove “boring” tasks from humans and free them up to be increasingly creative. Using artificial intelligence alongside cognitive technologies can help make faster decisions and carry out actions quicker. With artificial intelligence, you can arguably lessen the risks you expose humans to in the name of research. Take, for example, space exploration and the Mars rover, known as Curiosity. It can travel across the landscape of Mars, exploring it and determining the best paths to take, while learning to think for itself. Using artificial intelligence in this manner could potentially lead to massive benefits in areas such as demand forecasting, medical diagnosis and oil exploration. There is little doubt that artificial intelligence will displace many low-skilled jobs. Arguably, robots have already taken many jobs on the assembly line – but now this could extend to new levels. Take, for example, the concept of driverless cars, which could displace the need to have millions of human drivers, from taxi drivers to chauffeurs, very quickly. Of course some would argue that artificial intelligence will create more wealth than it destroys – but there is genuine risk that this will not be distributed evenly, particularly during its early expansion. Artificial intelligence carries the risk, in the minds of some, of taking control away from humans – de-humanising actions in many ways. Nations that are in possession of artificial intelligence could theoretically kill humans without needing to pull a trigger. Humans can take unique circumstances and judgement calls into account when they make their decisions, something that artificial intelligence may never be able to do. One example occurred in Sydney, Australia, in 2014 when a shooting drama in the downtown area prompted people to make numerous calls to Uber in an effort to escape the area. The result was that Uber’s ride rates surged based on its supply and demand algorithm – there was no consideration involved for the circumstances in which the riders found themselves. So is artificial intelligence really a threat? Find out how far along the digital transformation journey your organisation is, with our Digital Maturity Assessment.